Vivo posted on its Twitter account, Vivo India, the upcoming V11 Pro that will have an in-display fingerprint scanner. The new Vivo V11 Pro has 6.41 inch with full HD+ and Super AMOLED screen display. The phone will run with Qualcomm Snapdragon 660 AIE. The V11 is reported to have storage of 6GB RAM and 64GB ROM with MicroSD card slot that can be extended up to 256GB. The battery capacity will have 3,400 mAh with dual-engine fast charging. The dual pixel rear camera has 12 MP + 5 MP while the front-facing camera has 25 MP that is powered by AI. The phone also has an AI scene recognition and face access even at night. 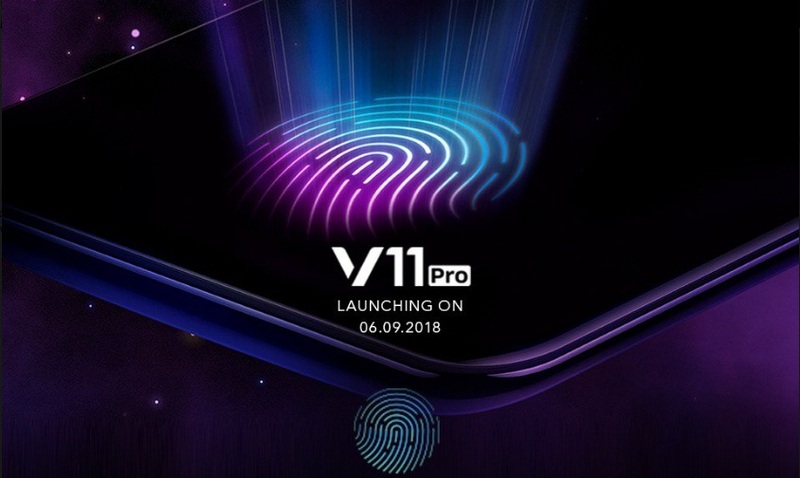 The Vivo V11 Pro is said to be launched on September 6 at an event in Mumbai. The company has not yet announced the price and available colors of the phone.